Fresh air is not something we get enough of in modern life, especially as most of us seem to be increasingly stuck inside with our great British weather! Synthetic furniture, paints and computers, to name but three, silently pump chemical vapours into the air, while your heating system will dry out your air. This can lead to complaints such as allergic attacks, asthma, headaches and tickly coughs. 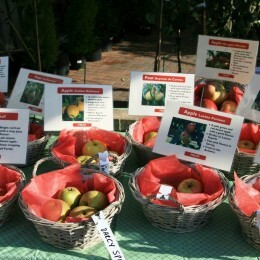 This is where plants in your house can help! But not all plants are the same. Some like more light or heat than others, and some clean the air better so it is important to get the right one. 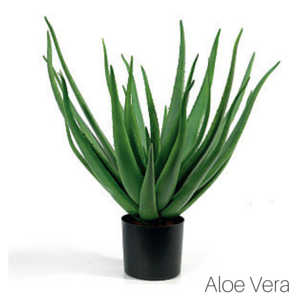 ALOE VERA – What’s great about this plant is that it emits oxygen at night time whilst simultaneously taking in carbon dioxide- something we naturally produce when breathing. All this leads to a purer quality of air and a better night’s sleep. 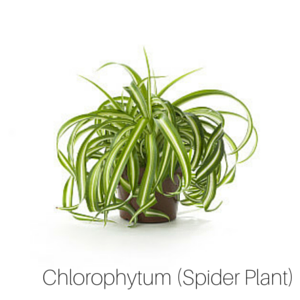 CHLOROPHYTUM (SPIDER PLANT) – The well-known Spider Plant is also a champion cleanser of air. The NASA tests showed it to remove around 90% of the potentially cancer-causing chemical formaldehyde from the air. 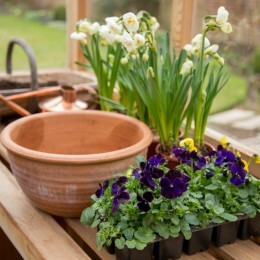 Since formaldehyde is found in common household products like adhesives, grout and fillers, it’s a good idea to keep one of these plants around your kitchen and bathrooms especially. 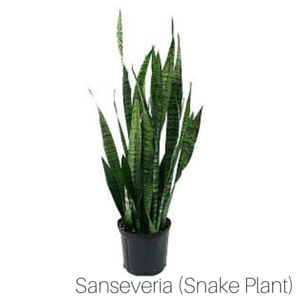 SANSEVERIA (SNAKE PLANT) or is even known as ‘the mother-in-law’s tongue’…this plant is excellent for filtering out formaldehyde, which is common in cleaning products, hygiene, and personal care products. 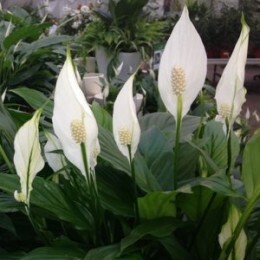 SPATHIPHYLLUM (PEACE LILY) is beauty in all its simplicity, the peace lily boasts strong dark green leaves and tall elegant white flowers. 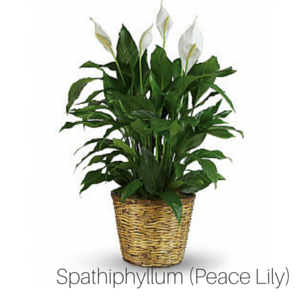 Really easy care for…this plant helps to filter out harmful benzene, trichloroethylene, and formaldehyde toxins. The moisture given off by these striking flowers can boost a room’s humidity by up to 5%. This way, you can say goodbye to those irritating dry noses and sleep peacefully. 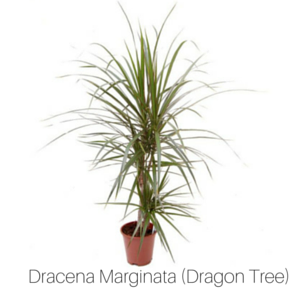 DRACENA MARGINATA (DRAGON TREE) This plant is useful for removing xylene, trichloroethylene, and formaldehyde, which spreads in indoor air through lacquers like your hairspray or furniture polish or furniture varnish. 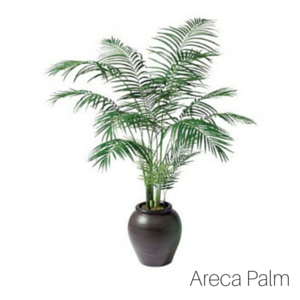 ARECA PALM An extremely elegant palm with delicate fronds which is good enough to be situated in your living room or hall… This pleasant plant releases lots of moisture into the air, removes toxins very effectively, is easy to look after and resists insect infestations well. 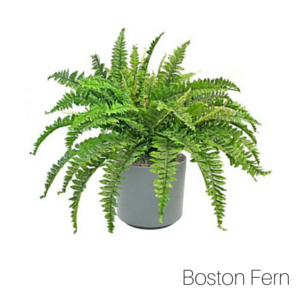 BOSTON FERN A mass of lush foliage helps this plant to scrub the air of toxins in a room and improve humidity. With a bit of regular misting and watering it should thrive. 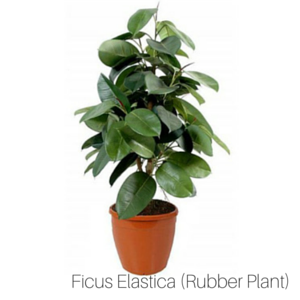 FICUS ELASTICA (RUBBER PLANT) Bred for toughness, this is the plant to choose if the room doesn’t have a lot of natural light. 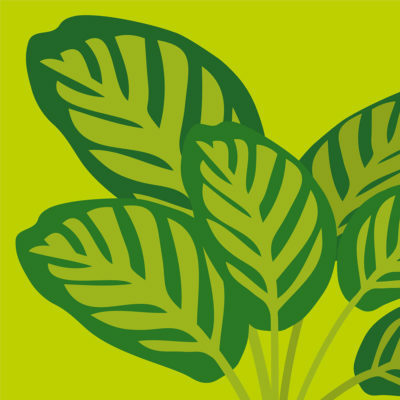 Its architectural form makes it a designer’s favourite and its simple, large leaves look good in most places. Especially good at removing formaldehyde, one of the most common toxins found in our indoor air. 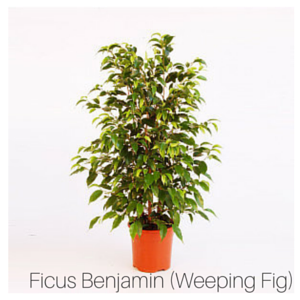 FICUS BENJAMIN (WEEPING FIG) The Weeping Fig is perfect for filtering pollutants that typically are in carpeting and furniture such as formaldehyde, benzene, and trichloroethylene. 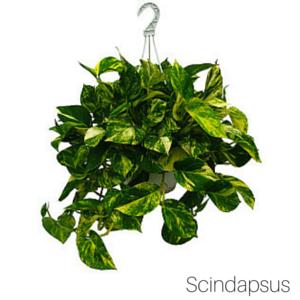 SCINDAPSUS Another powerful plant fighting formaldehyde, it will grow in a cascade of green from a hanging basket. There are many more plants that can make your home look and smell beautiful and fresh but these 10 are a must for keeping you and your family healthy by providing natural air filters and increasing the oxygen levels. WHAT IS POLLUTING YOUR HOME? 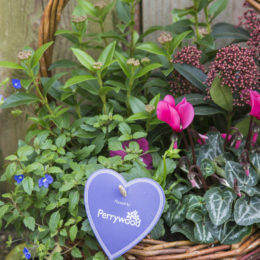 Top Tip: replace your air freshener spray with a jasmine plant for beautiful and healthy smelling air!